We have been on a two-ingredient ice cream kick this summer. I have been making Banana Peanut Butter Ice Cream and Banana Nutella Ice Cream nonstop. Well, the other day Caleb asked if we could make a fruity version, so we got out our stash of frozen bananas and strawberries and blended up some 2-Ingredient Strawberry Banana Ice Cream. I love two-ingredient ice cream because you only need two ingredients, for real. No extras needed, it is that simple! You do need a powerful blender or food processor, but that is it. 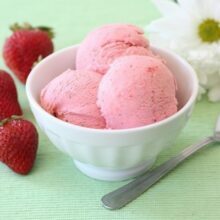 The bananas and strawberries do need to be frozen to create the creamy ice cream consistency. 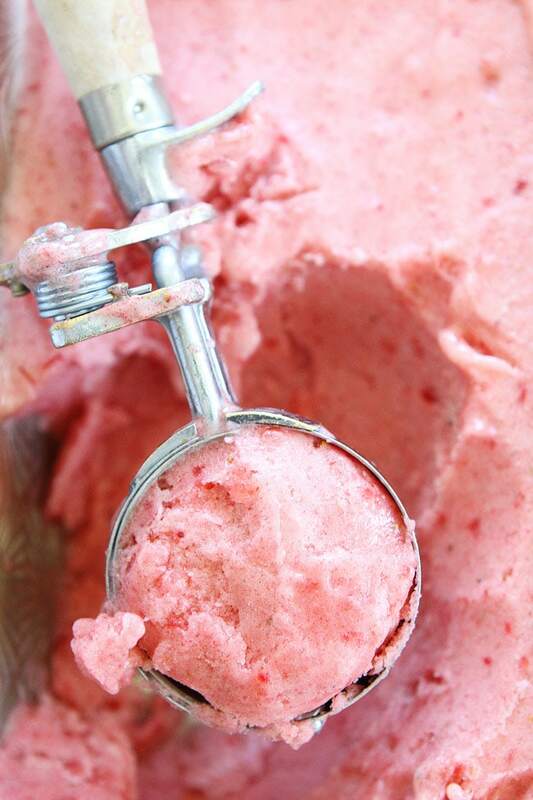 The food processor worked it’s magic and we were eating fresh and fruity ice cream in no time! Our strawberries were ripe and super sweet so we didn’t even have to add sugar.This ice cream is sweet enough on it’s own. We love eating the ice cream right after it’s been blended because it is like soft serve and who wants to wait to eat ice cream! But, if you want to freeze it for later, you can. It will harden so let it sit out for about 10 minutes before scooping. 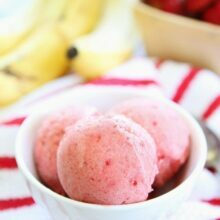 I am glad Caleb was craving fruity ice cream because this 2-Ingredient Strawberry Banana Ice Cream is a new favorite! 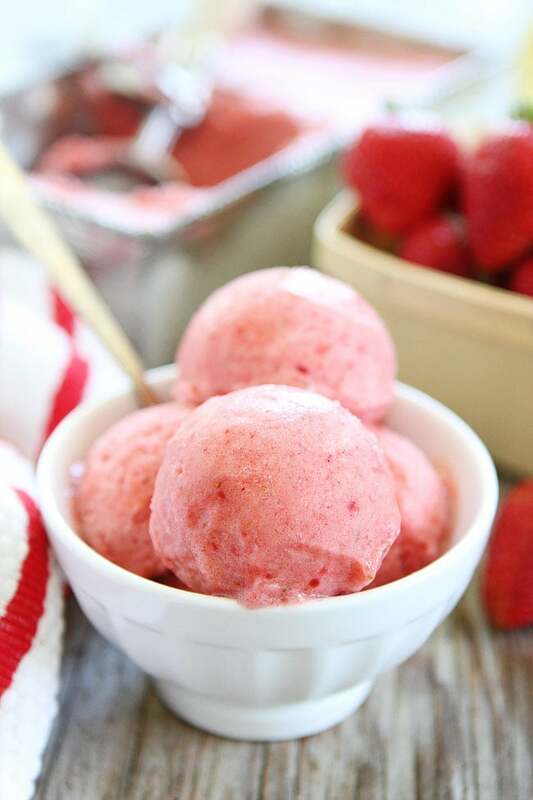 It is the perfect healthy treat for a hot summer day. And there is no guilt attached because it is FRUIT! Fruit in ice cream form, that is my jam! 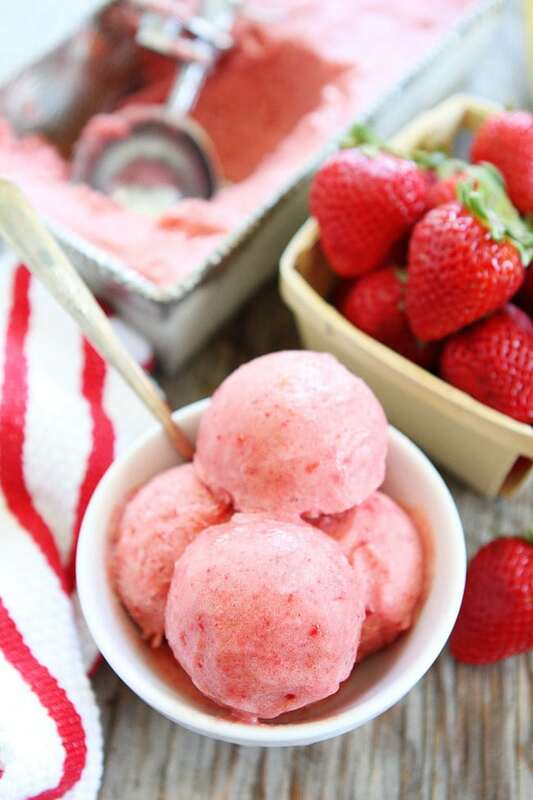 You only need two ingredients to make this healthy ice cream! Peel bananas and slice into 1/2 inch pieces. Slice the strawberries. Arrange banana slices and strawberry slices in a single layer on a large plate or baking sheet. Freeze for 2 hours or overnight. 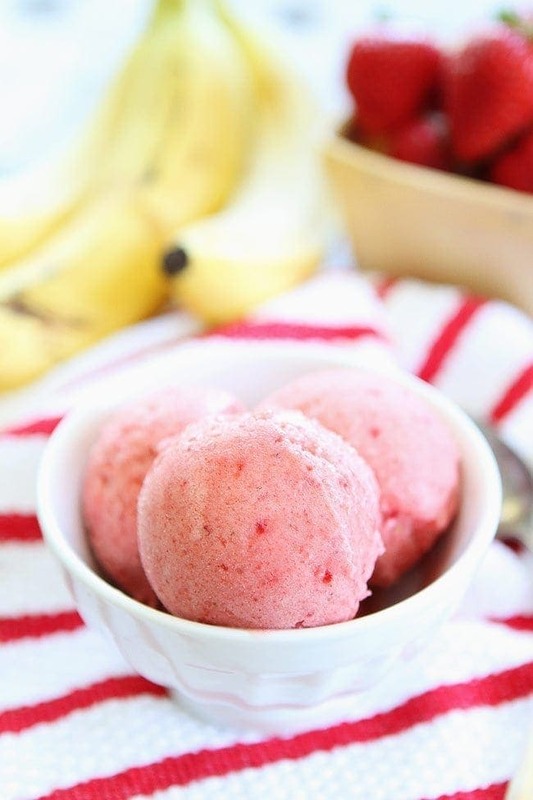 Place the frozen banana slices and strawberry slices in a food processor or powerful blender. Puree mixture, scraping down the bowl as needed. Puree until the mixture is creamy and smooth. This will take awhile. Don't worry, the bananas and strawberries will come together. Keep scraping and mixing! Serve immediately for soft-serve ice cream consistency. 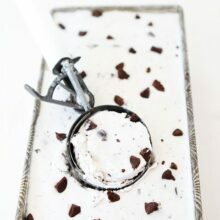 If you prefer harder ice cream, place in a freezer container and freeze. When ready to serve, let the ice cream sit out for 5 minutes. It will be hard right from the freezer, but it will soften up and you will be able to scoop it. *Note-Make sure you use a powerful food processor or blender! I love this recipe! Easy to make and delicious! I love how easy this recipe is! So pretty too! Love this idea for summer!!! I never knew you could make ice cream with 2 ingredients. Sounds delicious and healthy. Thanks for sharing. 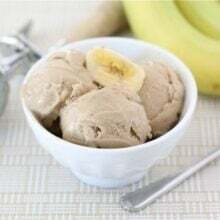 We love making banana ice cream too for a healthy treat. Next time we will have to add strawberries because this looks so delish! We will absolutely be making this very soon! I just made this. It is divine! Thank you so much. Oh I will definitely be making this ASAP! Wow this looks stunning and delicious! Wow! this was a really simple recipe and so delicious. The only thing that was different was the consistency, did not look quite as good as picture posted. Very refreshing and light. Thanks for sharing. I have a bunch of frozen berries and grapes. Do you think I could use them with bananas? The berries I’m not too worried about, but not sure about grapes. Thanks! I’ve never tried grapes, they might be too juicy? 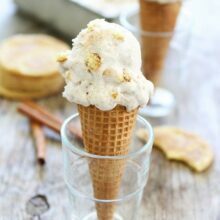 This is a fantastic 2 Ingredient Ice Cream recipe. I would love the feature this in our website Green Thickies. The perfect sweet treat when you can’t eat dairy. I use a vitamix blender, but how does it mix up without a liquid?